Ekybleed is a nutritional supplement designed to support horses who bleed whilst being worked (EIPH). The increased intensity of a horse's respiratory effort during a race or high energy exercise, can increase pressure in the lungs, which can in turn cause them to bleed from the lungs. This blood can sometimes appear at the nostrils, hence the term bleeders; the other name for the condition is Exercise Induced Pulmonary Haemorrhage. 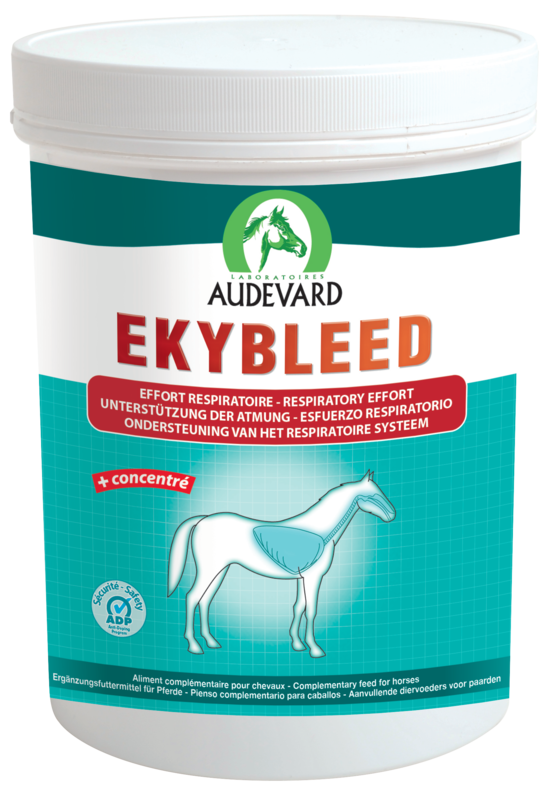 Audevard have developed Ekybleed to provide nutritional support to horses to prepare them for increased respiratory effort. It contains six beneficial herbs & has no doping effect, so is safe to race & compete on. The herbs are: Orthosiphon; Dandelion; Horse chestnut; Red vine; Sweet clover & Rosemary. Feeding Instructions- Give 35g daily for 2 weeks (or as long as needed). 490g will last for 14 days.